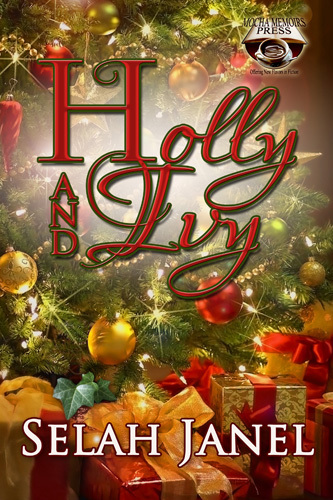 I thought I’d include another little bit of Holly and Ivy…this bit is closer to Christmas, and shows how Holly’s luck begins to turn around (as she forgets the other part of the bargain and the price that might be paid). in and truly settled, and I was actually making an effort to get out and enjoy my life. heartaches I was. It was almost like we were all starting to come out on the other side. how much I’d missed it. home, I was exhausted and grateful for the out. away. For once, though, someone called my bluff. conversation did nothing to stop my heart from trying to slam itself out of my chest. something?” I asked and nodded toward the door I’d just exited. The lumpy shoulders of his black coat moved up and down in a shrug. “They’re extending their hours and you’re leaving for the day, right?” I nodded. work for my shop’s door,” he added and pointed to the candy store across the street. didn’t take it out of the fireproof lock-box I’d hidden it in.